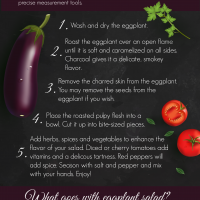 Are you looking for a fresh and delicious recipe that pairs perfectly with grilled lamb chops or rack of goat? 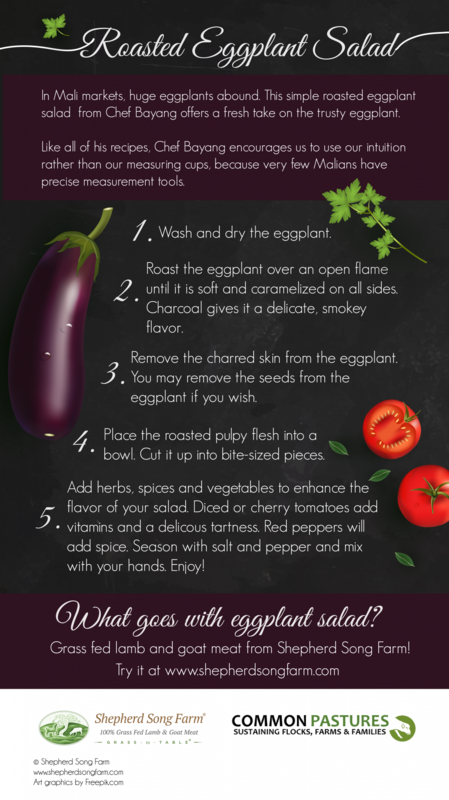 Try this Roasted Eggplant Salad recipe from Chef Bayang of Mali. It’s packed full of nutrients — and best of all — it’s very easy to make!